White blouses never leave the world of fashion because they are always requested by women of all age groups and professions. Starting from schoolgirls to business women everyone likes wearing white shirts and blouses in casual life. Lately, these outfits have become more popular due to the provided luxurious designs and styles. 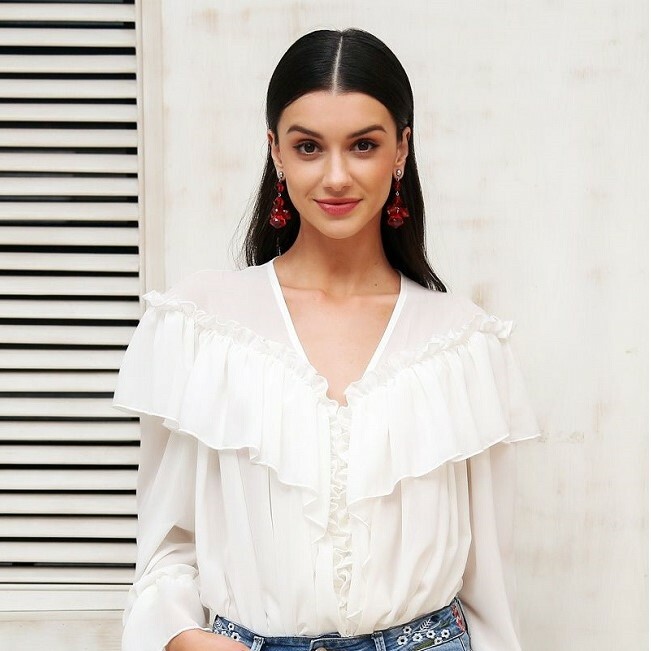 We are happy to represent the best white blouses for 2018 to let you know what’s trendy for this year. It was long ago we haven’t used the subtle organza fabric in our style. This super feminine fabric is back in the new collections of shirts. We see lovely white shirts made of organza and beatified with tender pearls. This combination is ideal even for prom looks. You can choose such a luxurious blouse for special events and parties. Chiffon and lace combinations have always been successful. These two fabrics complement each other and create incredible styles for blouses and shirts. It goes without saying that white lace is one of the most beautiful fabrics you can ever meet. It makes any chiffon blouse even more luxurious and exquisite. As for black lace, it is an ideal choice for those who want to highlight the beauty of their white shirt as well as draw attention to its design. Black lace and white fabrics are the classiest contrasts that go well with a number of classic skirts, pants and suits. They bring balance to your elegant style. Besides lace details designers also use other fabrics in black color to beautify white shirts. Thanks to modern solutions we get a variety of cute styles and creative designs for white blouses. 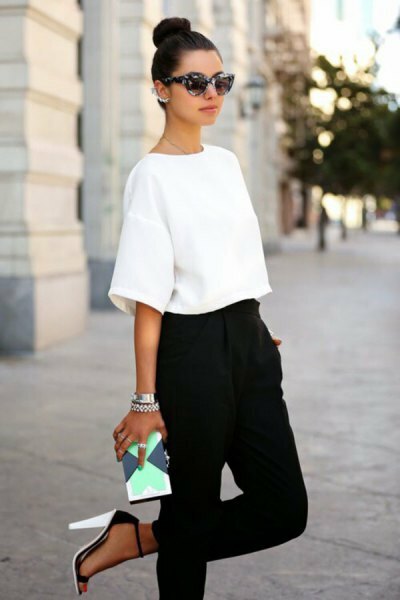 There are many ways to keep white shirts more attractive with black touches and we are glad we have so many offers from a number of fashion houses. Do you like bows? They are in thing in 2018 and are widely used in the latest designs of white shirts. Used both as style statements and new tie ideas, bows add a girlish effect to any boring white shirt. They can bring out your feminine elegance especially if you match them with short haircuts or updo hairstyles. Ruffles, ruffles and again ruffles. They won’t leave you alone until you decide to own one. Let it be one of these white ruffle blouses. Different styles of ruffles are ready to change up the design of common white shirts and blouses. From the simplest styles to the most festive effects, ruffles work well for any occasion. You can match them both with jeans and suits. Some loose and light sleeves are always great for hot days. White blouses with wide transparent long sleeves or classic medium sleeves are becoming more and more popular for this spring. They are so lavishing and cozy to wear in casual life.